Dr. Rathi is dedicated to delivering quality and comprehensive dental care to patients in a comfortable and friendly environment. Having worked in various dental care settings as a family dentist, hospital dentist and a cosmetic dentist for over 10 years, she is well-equipped to provide customized solutions and professional service. 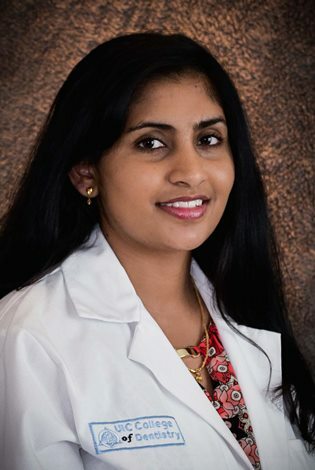 Dr. Rathi graduated from the College of Dentistry - University of Illinois at Chicago. She holds a membership in many premier dental associations, including ADA, Fox Valley Dental, ISDS and AGD. By staying updated with the latest dentistry news and developments, she explores ways to incorporate more cutting-edge state-of-the-art technology and enhance quality of care. Dr. Rathi understands the anxiety and nervousness associated with visiting a dentist's office. Pain, treatment and costs often weigh heavily on patients' minds. She believes that honest and open communication, friendly interactions and flexible solutions add up to a positive patient experience. To this end, she works hard to understand issues facing patients and goes the extra mile to resolve them with the help of Pacer Dental's skilled and dedicated team. She provides accurate diagnosis, explains the treatment in simple words, and outlines prognosis to help patients manage their dental health in an informed way. Dr. Rathi is a passionate advocate of maintaining proactive oral health. She makes it a point to educate patients on oral health and hygiene. Dr. Rathi, the mom of two has used positive reinforcement successfully on her kids, and uses the same strategy to motivate her younger patients to pay attention to their oral health. She also leverages her extensive experience to provide comprehensive and cosmetic dental care to entire family. Dr. Jingyuan Fan is a Board-certified Specialist in Periodontology and Dental Implant Surgery. She is currently an Assistant Professor on the faculty of Midwestern University. She is interested in diagnosing and managing periodontal disease, treating gingival recession and placing dental implants. Dr. 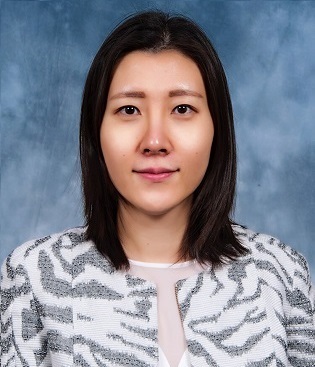 Fan received her Advanced Specialty Training in Periodontics at Eastman Institute for Oral Health, University of Rochester and earned a Ph.D. in Oral Biology from School of Dentistry, University of Minnesota. Prior to joining Midwestern University, she was an Assistant Professor of Periodontics at University of Rochester. She has published and presented numerous articles and is also a reviewer for academic journals. She had been recognized with several awards, scholarships and honors through her clinical and academic career. 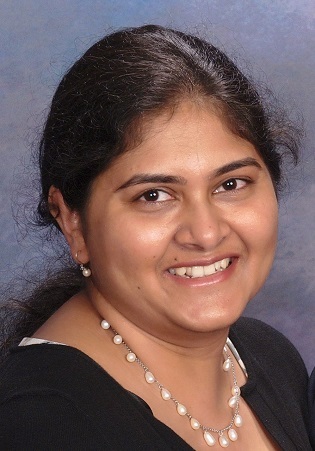 Dr Kalpana Kandimalla is a graduate of University of Illinois at Chicago. As a General Dentist, She has been working in the western suburbs of Chicago for more than 10 years. She is competent in all aspects of dentistry and works very comfortable with adults and children. Her approach is to provide thorough examination followed by comprehensive care. Dr. Kandimalla is aware of the fear of dentistry in most individuals. Making sure that every individual is calm and comfortable, she takes her time to explain the treatment options in simple words. She also believes that to provide quality care, one has to constantly be up to date with latest technologies hence she is always in pursuit of continuing education. Dr. Kandimalla is part of various professional affiliations including American Dental Association (ADA), Illinois State Dental Society (ISDS) and Chicago Dental Society (CDS). Dr. Kandimalla lives with her family in Bolingbrook. In her free time, she loves to explore Chicago with her husband and four children. For greater diagnostic and treatment accuracy, our office is equipped with advanced technologies and state of the art infrastructures such as 3D CBCT X-Ray, Electric Hand Pieces, Intra-Oral camera & Electronic Record.